The purpose of this blog post is to show how you can run a PowerShell script on an Azure VM that will shutdown and deallocate the actual VM the script is run on. First, kudos to Marcel Meurer (Azure MVP), that originated the idea of how to run a PowerShell script that will shut down and deallocate the VM from inside itself, this is a good read: https://www.sepago.de/blog/2018/01/16/deallocate-an-azure-vm-from-itself. Marcels blog learnt me of something I havent used before, Azure Instance Metadata Service, where I can get information on my current VM instance. I wanted to combine this with using Managed Service Identity (MSI), and actually let the VM authenticate to itself for running the shut down command. The shut down command will be using the Azure REST API. First, let us set up the requirements and permissions to get this to work. 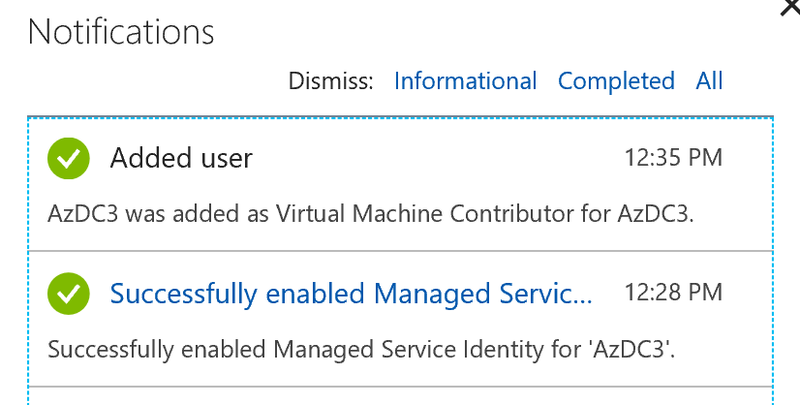 Managed Service Identity is feature that as of January 2018 is in Public Preview, and by using MSI for Azure Virtual Machines I can authenticate to Azure Resource Manager API without handling credentials in the code. You can read more on the specifics here: https://docs.microsoft.com/en-us/azure/active-directory/msi-tutorial-windows-vm-access-arm. After saving the configuration, wait for the Managed service identity to be successfully created. 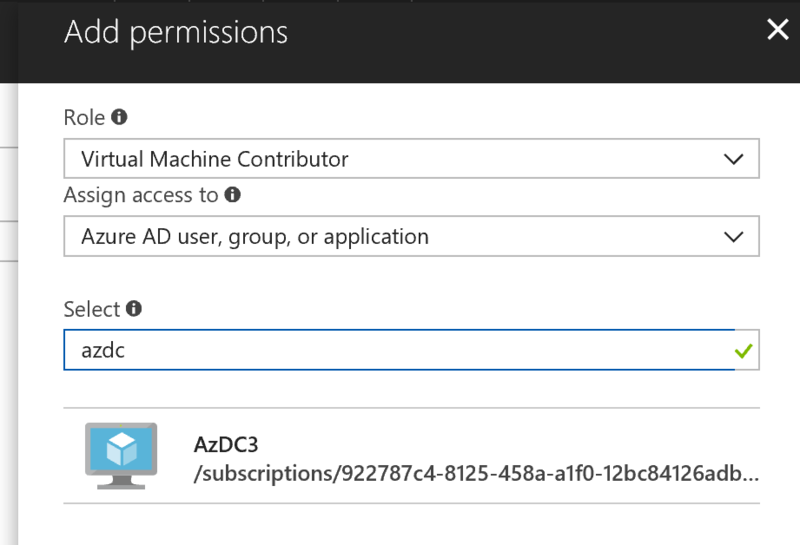 This will create a service principal in Azure AD, and for VMs this will have the same name as the virtual machine name. When this script is run on a VM the following output will display that the REST operation was successful, and shortly after the server goes down and deallocates as excpected. 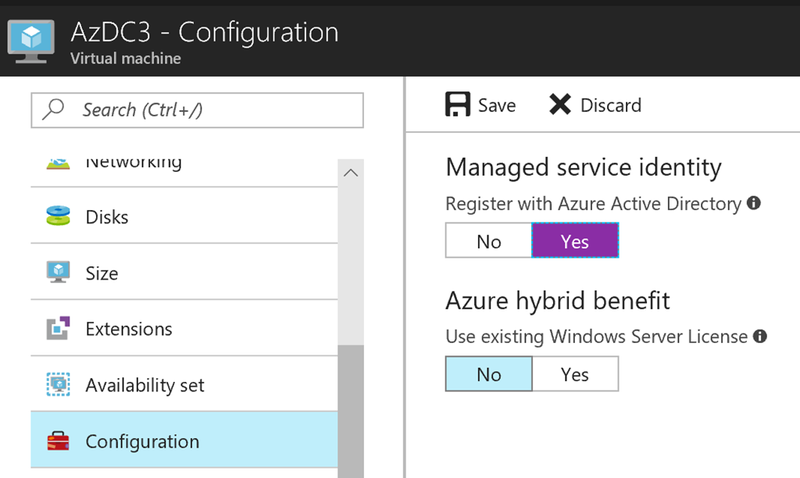 To summarize, this blog post showed how we can use Managed Service Identity together with Azure Instance Metadata Service, to let the VM manage itself. This example showed how to shut down and deallocate, but you can use the REST API for other operations like restart, get info, update the VM and so on. Best of all with using MSI, is that we don’t have to take care of application id’s, secret keys and more, and having those exposed in the script which can be a security issue. This entry was posted in Azure, Azure REST API, PowerShell and tagged Azure, Azure REST API, Managed Service Identity, PowerShell on January 17, 2018 by Jan Vidar Elven.